“Ueno Station has absolutely no elegance of any kind. It has a roof to keep off the weather and that roof is supported by plain wooden posts; there are one or two necessary pens at the end for luggage and tickets and that is all; and for my part I cannot see what more in the name of common sense is wanted in a railway station. “You don’t get marble pillars adorned with acanthus capitals in a Japanese railway station – things which nobody wants there – but in the plain wooden shed you get your ticket for almost nothing at all, a thing that everybody wants but does not get in the gorgeous booking halls of Europe. Well, we got out of our train while making these sage reflections, or some of them, and made our way to the luggage place in the midst of the huge crowd of little people – not a soul one was relieved to see, in foreign clothes – all chattering and clattering along to the exit. 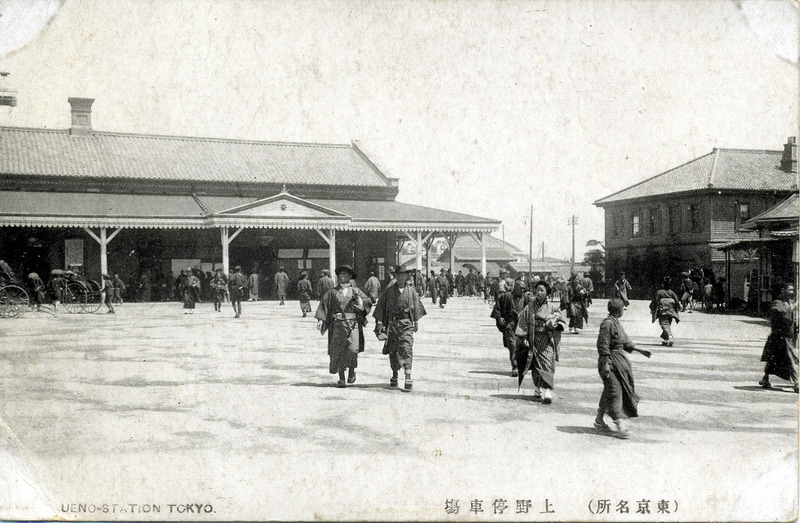 Ueno Station plaza, c. 1910. Map: Tokyo Rail Terminals & landmarks, 1912. 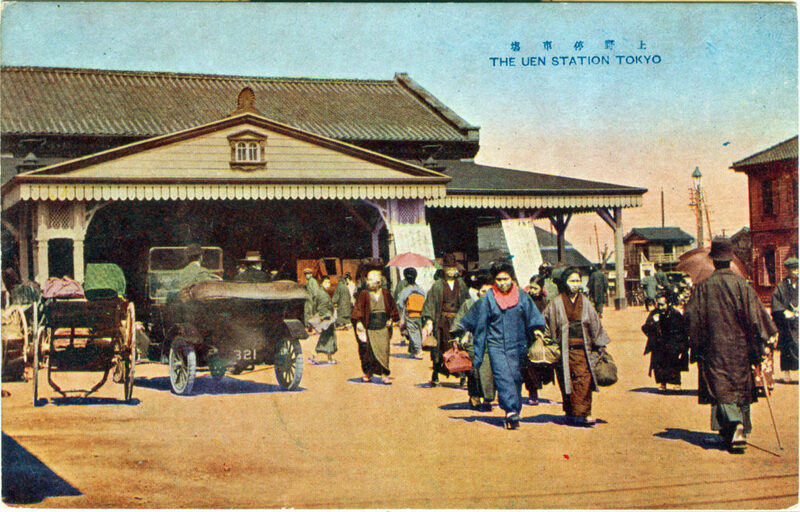 The original Ueno Station opened in June, 1883, establishing the first rail link to Japan’s northern provinces aboard trains operated by the then-privately-owned Japan Railway Company. 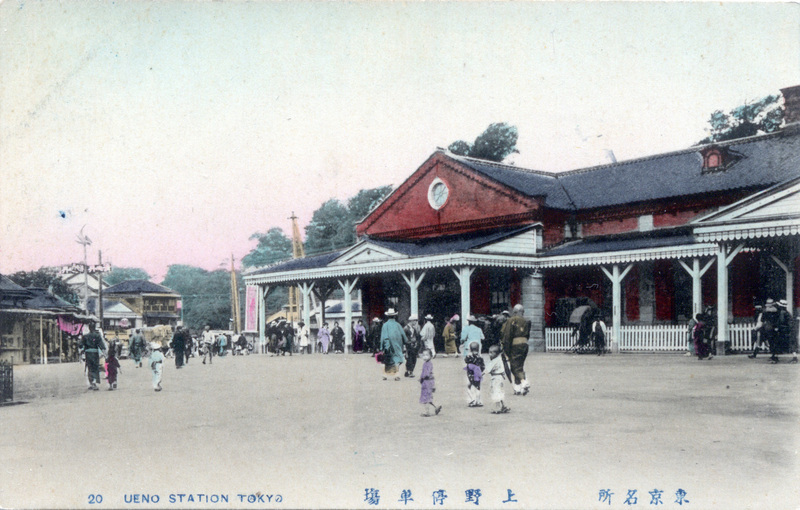 The station was of a very modest, simple design compared to the more elaborate terminals at Shimbashi and Manseibashi; a stark reminder of the socio-economic divide that existed between go-go Meiji Era Tokyo and the country’s poorer, rural northern hinterlands. 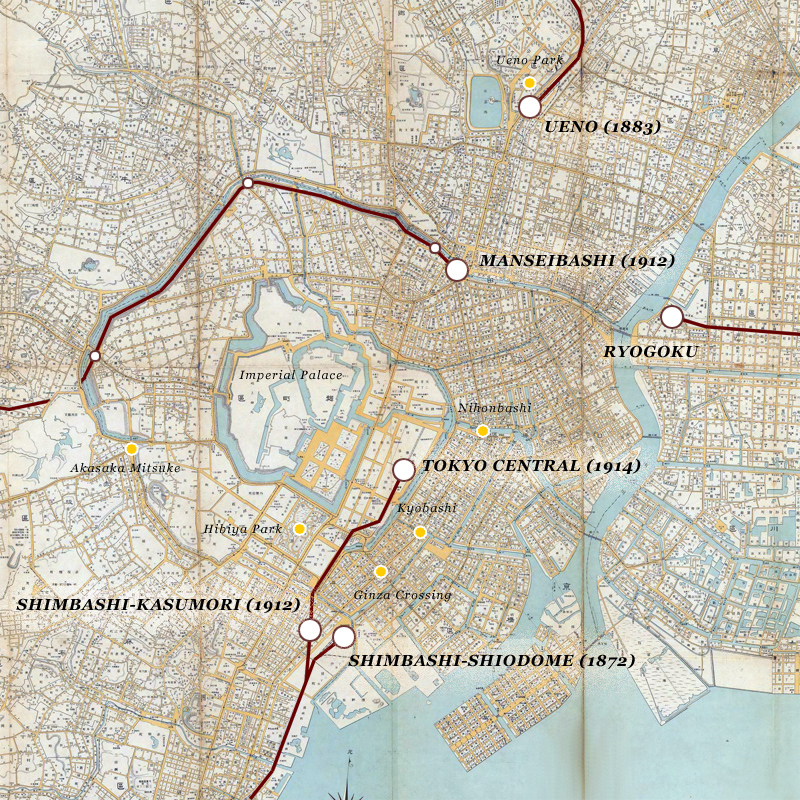 Service between Ueno and Kumagaya was initiated in 1883; local and express through-service to Aomori, at the northern tip of the main island of Honshu, was completed in 1891.